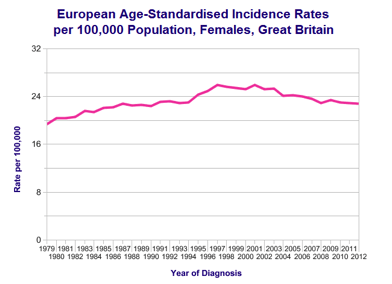 Currently there is no population screening programme yet for the prevention of ovarian cancer. Research using ultrasound scan and CA125 blood test shows some promising results but is still not ready and convincing to establish population screening programme. Selective Screening using these tests is available for women at higher risk (10% or more life-time risk) of developing cancer by having strong family history or genetic mutation (BRCA1 or BRCA2). Risk of ovarian cancer can be reduced by using oral contraceptive pills. Women with genetic mutations can reduce their risk down to the level of population by having both tubes and ovaries removed. Ovarian cancer is also called “Silent Killer”. Symptoms may be quite late, vague in nature and they may be difficult to recognise. This leads to delay in presentation and advanced stage. Treatment of ovarian cancer is with combination of surgery and chemotherapy. Best survival results are only achieved if woman is able to receive both of these treatments. If suspected or confirmed ovarian cancer on CT scan appears to be amenable to complete or optimal debulking (excision) and FIGO Stage appears to be 3B or less, surgery may be performed first (upfront or primary surgery) prior to decision of chemotherapy. In very early stage ovarian cancer (Stage 1A or 1B) surgery is all woman may require. Women not fit for surgery or if their cancer on CT scan appears to be FIGO Stage 3C or 4, they are offered upfront (neo-adjuvant) chemotherapy. After usually three cycles of chemotherapy their cancer is reassessed on CT scan and interval debulking surgery is then offered. After interval surgery, remaining three cycles of chemotherapy are completed. Surgery in general is aimed at removing all visible ovarian cancer where possible (complete cytoreduction). This outcome if achieved offers best survival outcome. If not possible, cancer is reduced down to spots of no more than 1cm (optimal cytoreduction). 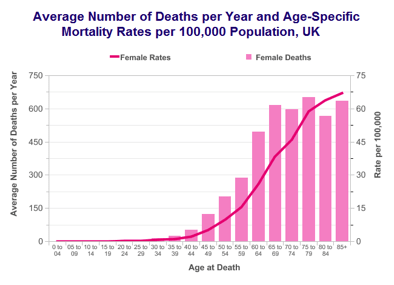 In about 5-10% women neither of two is achievable leaving more than 1cm size cancer behind (sub-optimal cytoreduction). This is usually due to the tumour involving small bowel blood supply or the under surface of liver, both of which poses surgical challenge and is very high-risk. Operation in general will include full hysterectomy, removal of fatty apron (omentum) and appendix. If found, tumour from other places such as diaphragm, liver surface or spleen may also be removed. Small number of woman (1 in 10 to 20) may require bowel resection, anastomosis or formation of stoma (bag) on skin. Operations for ovarian cancers can be extensive, complex and high-risk. There is a good evidence to suggest that the outcome of operation is not the only parameter that determines overall survival in ovarian cancer. Other factor such as volume of tumour at the diagnosis, biology of tumour and chemo-sensitivity of tumour also determine overall survival. There is some evidence that in advanced ovarian cancer (FIGO 3C and 4) if operation is performed after 3 cycles of chemotherapy it may be less extensive, safer and avoids the need of bowel surgery without compromising overall survival. 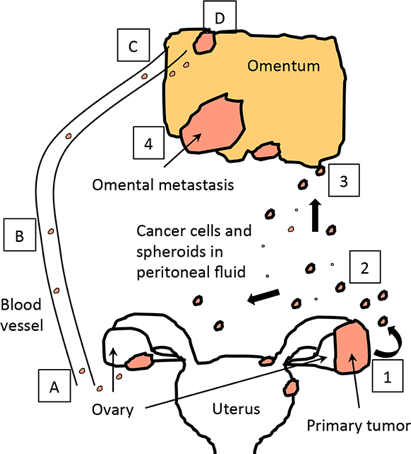 All ovarian cancer staged FIGO 1C and above are treated with chemotherapy. In most cases it is six cycles of combination chemotherapy with carboplatin and paclitaxel. Chemotherapy is either given as all six cycles after the surgery or split into three cycles each before and after surgery. Each cycle is delivered through a continuous drip into the vein in out-woman settings. There is a three weeks of gap in between cycles to allow woman to recover from the side effects of chemotherapy. Some new evidence suggest that better response to chemotherapy is achieved if it is instilled inside abdominal cavity. However this is not routine practice in UK and is only offered under research settings. In some woman chemotherapy with Bevacizumab is added if they have stage 4 cancer or if cancer was sub-optimally removed at surgery. There are several chemotherapy research trials that may be offered to woman if found eligible. Some woman may not be fit for or able to tolerate combination chemotherapy. They may receive single agent chemotherapy which if situation improves can be reverted to double agent again. There are several significant side-effects of chemotherapy. These are discussed with woman prior to embarking upon chemotherapy treatment. There are several other chemotherapy and hormonal drugs that are used in ovarian cancer. These are however used if cancer returns within six month of initial treatment or if cancer does not respond to carboplatin and paclitaxel combination. 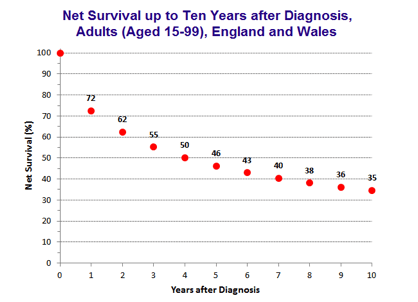 Overall survival in ovarian cancer has improved gradually over last four decades. FIGO Stage, quality of surgery and cancer sensitivity to chemotherapy are the main determinant of survival in ovarian cancer. Prognosis and survival in an individual is difficult to predict and best indicator of outcome is time to first recurrence after completion of first treatment. 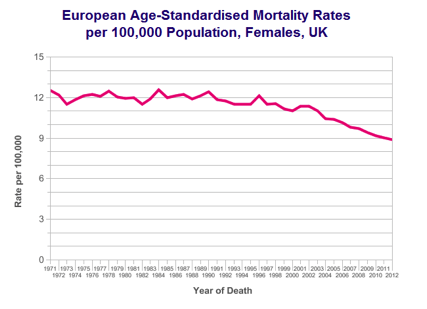 Survival rate of ovarian cancer in UK compared to some other European countries is quite poor. 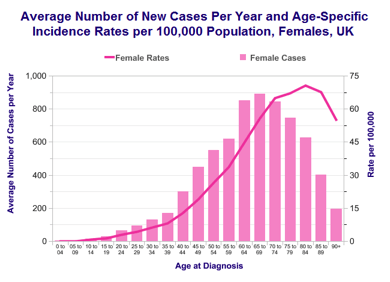 There are several technical and clinical reasons for this including the way data is collected and compared, difference in population, aggressiveness of treatment and delayed diagnosis.